Hunt for eggs, not weekend plans! Read below for 8 great ideas that we&apos;ve compiled just for you. Enjoy several Easter egg hunts, attend a concert, see a movie for free and more all in Hamilton County, Indiana this weekend. Read on for those ideas and more, plus find extra events on our online calendar. 1. What is Carmel Pedals? It&apos;s a 10 mile weekly organized bike ride for everyone! Visitors and locals alike will delight in this ride that will explore different Carmel neighborhoods throughout the spring and summer. Bike rentals are available at Carmel Cyclery where the ride begins. 2. Friday is the first evening of many great ones out under the stars at the Nickel Plate District Amphitheater in Fishers! This Friday evening, the outdoor movie series will begin. Bring lawn chairs, snacks, and the whole family to see Monsters University for free. 3. Get ready for Easter with a festive egg hunt! Saturday is the best day to partake in this tradition throughout the county and most are FREE! For hunts head to Clay Terrace, Westfield, Carmel City Center, West Park in Carmel, Holland Park in Fishers, and more. 4. Visit northern Hamilton County this Saturday evening for dinner and a show. 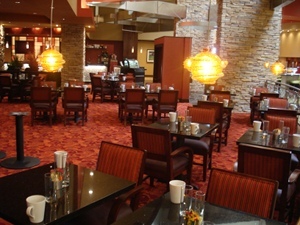 Grab some delicious Italian eats at DeLullo&apos;s in Atlanta then head to Arcadia for a concert. The Hedgehog Music Showcase is hosting Bleu Django, a gypsy jazz band that will play hits from the 30&apos;s and 40&apos;s.
5. Do you have your reservations yet for Easter brunch? Several Hamilton County restaurants and hotels are offering special dining options this Sunday- a great treat for visiting friends and family! Rita&apos;s Backyard is offering brunch, as well as the Renaissance Hotel, and many others. 6. Speaking of reservations, think about looking ahead to next weekend! 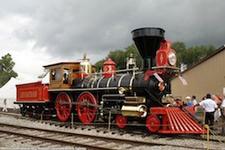 A very special train will be in town to help kick off the Indiana Transportation Museum&apos;s summer season. Reservations are required and rides are limited. Learn more about the train here. 7. Stop by Nickel Plate Arts to see what&apos;s new. Enjoy art by talented locals in two different exhibits- Young Artists Exhibit and the Earthly Art Show. 8. As the temperatures continue to rise, Klipsch Music Center concert season continues to get closer! Check out the current line-up of shows and start planning so you won&apos;t miss your favorite artists.